For pop country duo SixForty1, their journey to find their sound and place in Nashville music scene can be best compared to a winding road - much like their name. “My cousin came up with the name, after US-641. It cuts through Murray, where Austin and I met,” says member Brooks Hoffman. “It’s a road that brings a lot of people together, which is what we try to do with our music,” adds fellow member Austin Gee. Their early success proves the duo has done just that. 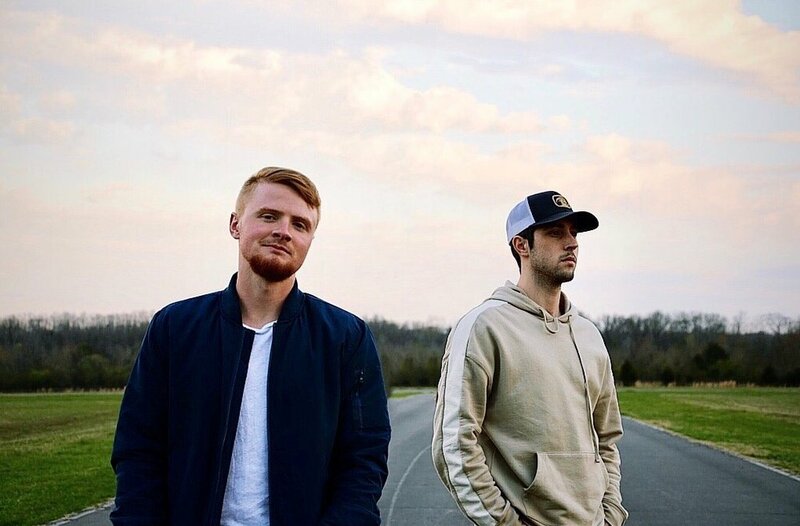 With latest single “Plane Crazy” at nearly 600k streams, a recent booking deal with Creative Artist Agency (CAA), and hundreds of hometown fans behind them, there’s little doubt the boys of SixForty1 have found their footing and are quickly paving their way to a place amongst the genre’s top artists. A Louisville, Kentucky native, Brooks caught the music bug early on. Inspired by his uncle, who was a part of Chicago-based Freddy Jones Band, he began guitar and drum lessons at the age of 9. “My guitar teacher was the earliest, biggest influence - he was the one that got me started songwriting.” Challenged by this guitar teacher to write and perform a song for his grandfather’s annual 4th of July party, Brooks wrote “Texas” - and played the tune to the over 400 in attendance. “It was a terrible song… But I fell in love with writing.” In high school, he really began to take writing seriously. “I would write and record what I’d written in my parents’ basement. None of it was country, though…” It wasn’t until he met Austin at Murray State that Hoffman’s started dabbling in the genre. Their worlds collided when both were nominated by their fraternities to take part in Murray State University’s male pageant, Mr. MSU, hosted by a sorority on campus. “I didn’t know anyone backstage - so I saw Austin sitting on the side with his guitar, and introduced myself,” says Brooks. Though the two didn’t immediately work together (“we were part of rival fraternities - it was a bit frowned upon”), they later re-connected and began writing. “I never saw myself writing with anyone else, but I wanted to be bigger musically, so we started working together,” says Austin. The two also booked local shows, playing to friends and building a fanbase. “I remember the first time we saw the marquis sign, with the words streaming across - this Thursday night, SixForty1 - and I thought, that’s so cool,” says Brooks. The duo caught the attention of Nashville-based manager Alex Torrez, who helped pull together players for the recording of their first EP, which included debut single “Get Your Yeti On” and follow-up “No Rum or Reason.” Though the EP did well regionally, Brooks and Austin found themselves taking jobs in different cities (Brooks in Louisville, Austin in Knoxville). “Nashville was always our end goal - we just didn’t know how to get there. Most of ‘Plane Crazy’ was written over FaceTime,” says Austin. With a management and a booking deal in place, SixForty1 is currently recording a new EP, due out later this year. As always, their hope is to release music that will stir something in others. “We love people, and we love showing people a good time. That’s what SixForty1 is all about - bringing people together.